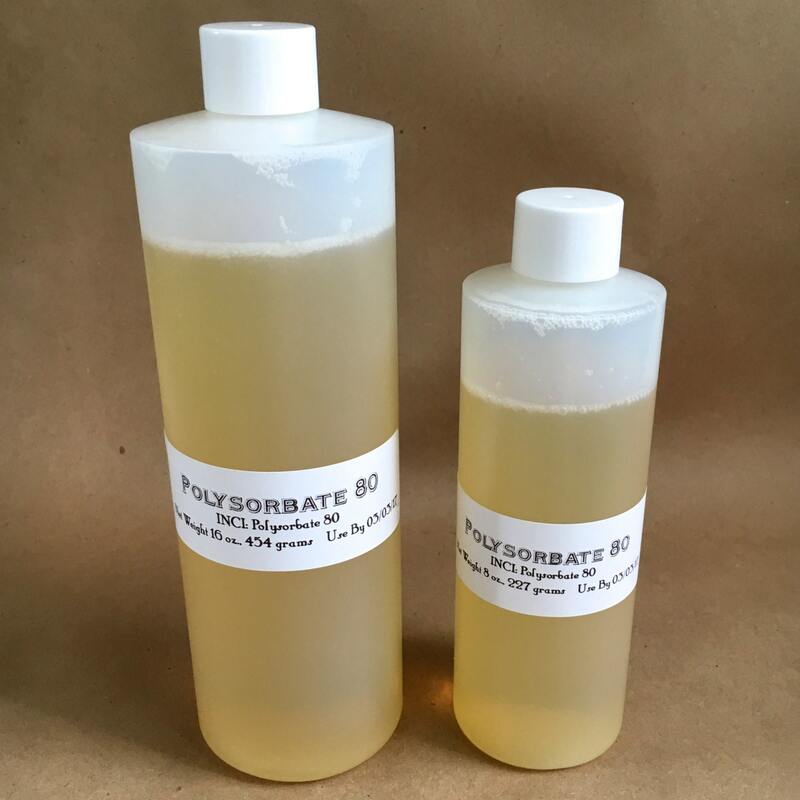 Polysorbate 80 is an emulsifier, dispersing agent & stabilizer for mixing oil & water. It helps to keep mica from sticking to tubs, suspends oil in water so you don't have a tub ring & has co- surfactant properties as well. It's soluble in oil and water. We have a listing for a 4lb and 8lb too, if you are wanting a larger quantity. It comes in an HDPE bottle. Sold by weight. Favorite our shop to see new things as they arrive! I can always count on you! Thank you! Super fast shipping! Well packaged.